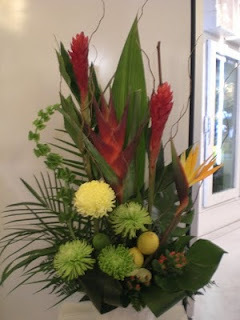 It's beautiful big scale arrangement with exotic flowers. Usually it's for the funeral. Many people love the exotic flowers for the funeral floral arrangement.